Somebody, we forgot who, had sent us a tip recently about cooking pasta in a frying pan. It stuck in our heads and we finally got around to trying it. Wow, it worked amazingly well!!! 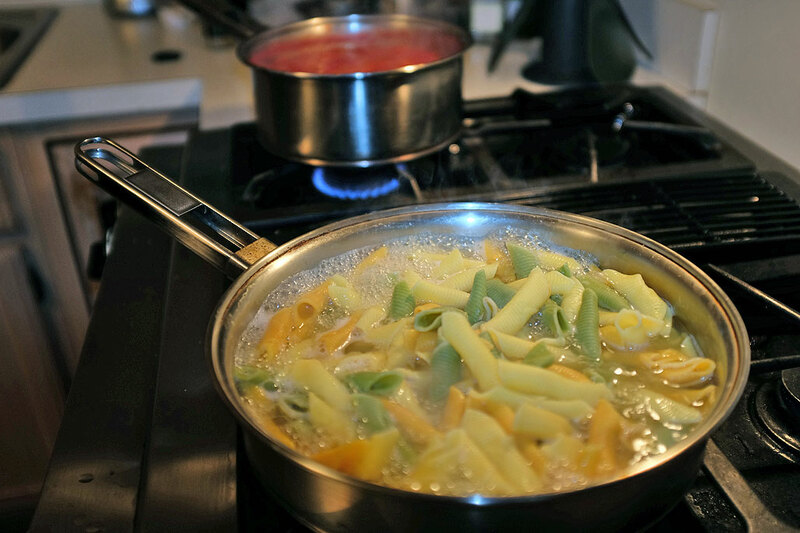 There really was no need to boil that big pot of water, the pasta cooked in a third of the time, and dinner was ready in 30 minutes. So save water, save energy, and save time…priceless!! !